I’ve just enjoyed eight days of lazily cruising up and down the Loire between its mouth at St. Nazaire and Bouchemaine, the river’s farthest navigable point for a vessel the size of our paddlewheeler, MS Loire Princesse. In wine terms, that’s a journey through the winebibbing home of Rabelais. We journeyed upriver, into the heart of vinous lightness – from the land of the Melon de Bourgogne, which makes Muscadet, and into the realm of the red Cabernet franc and the white Chenin blanc. These, usually alone but sometimes with other grapes, make a whole range of light to medium-bodied wines, mostly named for the places they’re grown – Bourgueil, Chinon, Saumur, Vouvray, etc. This was not, however, a wine trip. It was a vacation. I had promised my Long-Suffering Spouse no wine tastings, no vineyard visits, a complete break from all that. I hadn’t promised not to drink wine, however, an activity LSS heartily approves of, so we enjoyed the Loire Princesse’s plenty throughout our long sunny days and protracted evenings on board. I hadn’t really registered how far north the Loire lies: Daylight lasted until around 10 pm every day. Now, the Loire Princesse isn’t one of those floating apartment buildings that ply the Med or the Caribbean: It’s a small – 90 passengers – shallow-draft sidewheeler specially designed to navigate the difficult waters of the Loire, which is often wide and shallow, with multiple channels, all prone to flooding at some seasons and going almost dry at others. 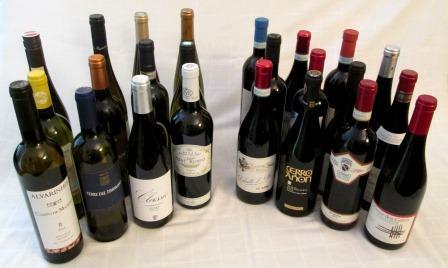 So the ship doesn’t have huge storage space, and its wine offerings were consequently distinctly limited. They were, however, reflective of the region we were sailing through, and the simpler ones were included in the basic trip amenities and always generously poured. Some better labels were available for purchase at very reasonable prices. Moreover, they matched very well with the cuisine of the cruise. Best of all, in the true Rabelaisian spirit, they were enjoyable wines in themselves and very efficient reminders of the affability and adaptability of Loire wines. I confess that I often forget about Loire wines. That is really unfortunate, because they are, by and large, genuinely enjoyable and very affordable. There are only a handful of really great ones, but there is an abundance of delightful wines that tend to get lost in the frantic search for Wine Advocate or Wine Spectator 90-pointers. Most days, with most meals, I would much rather drink a superior Chinon for $30 or less than an inferior Bordeaux for the same price or more. The Muscadet appellation has several regional subdivisions. The one we most often encounter in the US is Muscadet Sèvres et Maine, which is what the Princesse was offering: 2015 Château Cassemichère Muscadet Sèvres et Maine sur lie. “Sur lie” means the wine was allowed to remain on its lees until bottling, a practice that gives normally lean Muscadet a bit of depth and roundness. 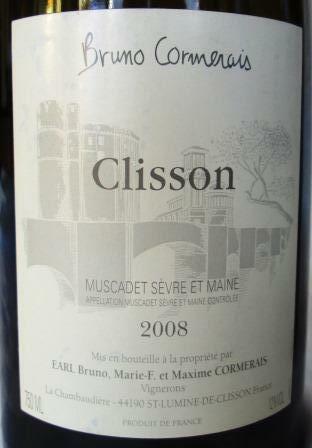 The Cassemichere was a typical Muscadet, a light white wine with small citrus and mineral notes, very clean and fresh. There is a lot of Muscadet on the US market, and most of it is like this wine, simple and enjoyable but in no way distinguished. There are, however, a handful of outstanding Muscadets, either because of the character of their soil and microclimate or the care of their producers, or both. 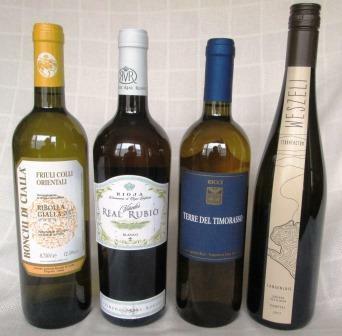 Some I have enjoyed include Domaine de la Pepière, Domaine de l‘Ecu, Bregeon, and Louvetrie. Bear Muscadet in mind the next time you’re serving any shellfish: It’s usually inexpensive, and the crustaceans and the wine seem to love each other. 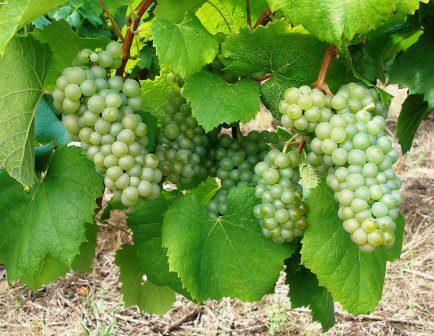 The Muscadet zone is very consumer-friendly: There is essentially one appellation and one grape variety. 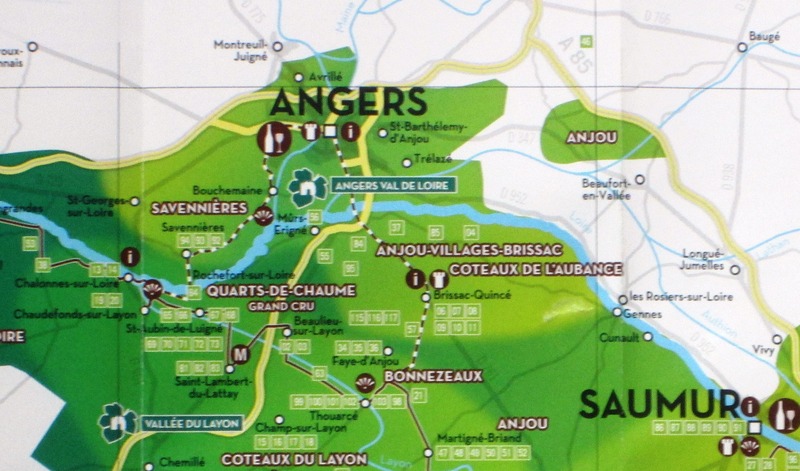 The red wine zone of the middle Loire, upstream from Nantes and the Muscadet country, is only a little more complicated. 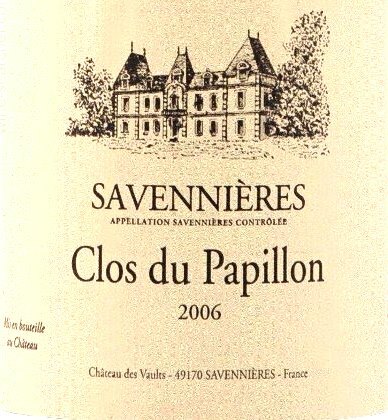 There are several appellations, but just one dominant variety, Cabernet franc. Forget anything you may know about this grape from its appearances in Bordeaux: the Cabernet franc of the Loire is a completely different animal – softer, fruitier, with more enlivening acidity and fewer abrasive tannins. In very good harvests it can age for a decade or more, but most years it makes a much more accessible wine to drink relatively young. Loire reds show elegance and gentleness more than power or depth: They are for me perfect summertime red wines, companionable with all sorts of food, intensely satisfying and accessible, never confrontational. If you’ve forgotten that a red wine doesn’t have to be up in your face to be impressive, you need to try some Loire reds. The main appellations for them are Bourgueil, Chinon, Saint Nicolas de Bourgueil, and Saumur. Of these my favorite tends to be Chinon, which I find slightly more elegant, slightly more intensely varietal, and slightly more age-worthy. On shipboard, we drank 2015 Domaine Olivier Bourgueil, 2014 Clos de Perou Saumur Champigny, and 2015 Clos de la Lysardière Chinon. I grew quite fond of the Chinon, which had delightful fresh fruit and enough depth to match well with the chef’s fondness for wild mushrooms and complex sauces. Other good Chinon producers include Domaine Couly-Dutheil and Domaine Philippe Alliet. 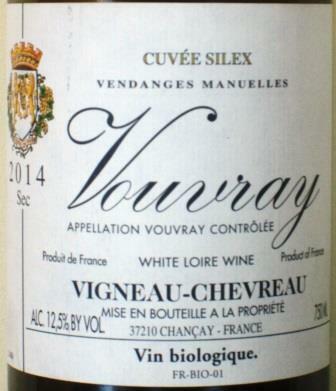 The Loire Princesse didn’t stock any Vouvray, which disappointed me, because this charming white wine, vinified from the Chenin blanc grape in the middle Loire, in its driest forms makes an excellent dinner wine. I can recommend Domaine Huet and Domaine des Aubusières and the Cuvee Silex of Vigneau-Chevreau. All in all, the valley of the Loire remains still what it was for Rabelais, a soft and pleasant land teeming with palatal pleasures. It served as a healthy reminder to this wine journalist that a wine doesn’t have to be profound to be estimable or powerful to be enjoyable. I hope all your vacations are as delightful as mine was. Next post: France’s least known great white wine. A few weeks back I wrote a post about Chianti Classico, the first of several pieces intended to celebrate wines that are friendly, adaptable, reliable, and pleasurable, even though of less prestige, less pressure, and less price than the stratospheric level of great ones. Now I will nominate for membership in the Cheerful Confraternity of Amiable Wines (CCAW, pronounced ca-CAW, like a fish crow summoning his flock to a beach party) a vastly underappreciated white wine, Muscadet. Muscadets can be, and these days often are, very lovely wines, and they are rarely costly, but nevertheless they don’t get much respect. Maybe it’s because the name is too easy to mispronounce (I once, eons ago, actually heard someone order a “mouse cadet,” as if Walt Disney ran a training school) or maybe it’s because, in the ‘70s, the wine was overproduced, uninteresting, and ubiquitous on French wine lists (and back then that meant 90% of all restaurants that had wine lists). Whatever: All that is long past, and the Muscadets coming to this country now are a pretty nice crop of wines – still ideal with oysters, as their long-standing reputation has it, but fine too as aperitifs or as dinner companions with any seafood. 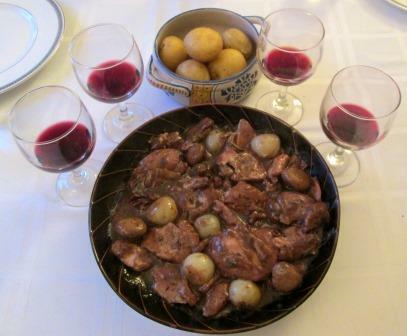 The best bottles have heft and character to go well beyond that; they pair comfortably with chicken, veal, pork – with white meat dishes generally, unless they are very richly sauced. So Muscadet these days is a wine enjoyable to drink in many circumstances, versatile with many foods, undemanding of attention but rewarding should you choose to give it – in short, an ideal candidate for CCAW. 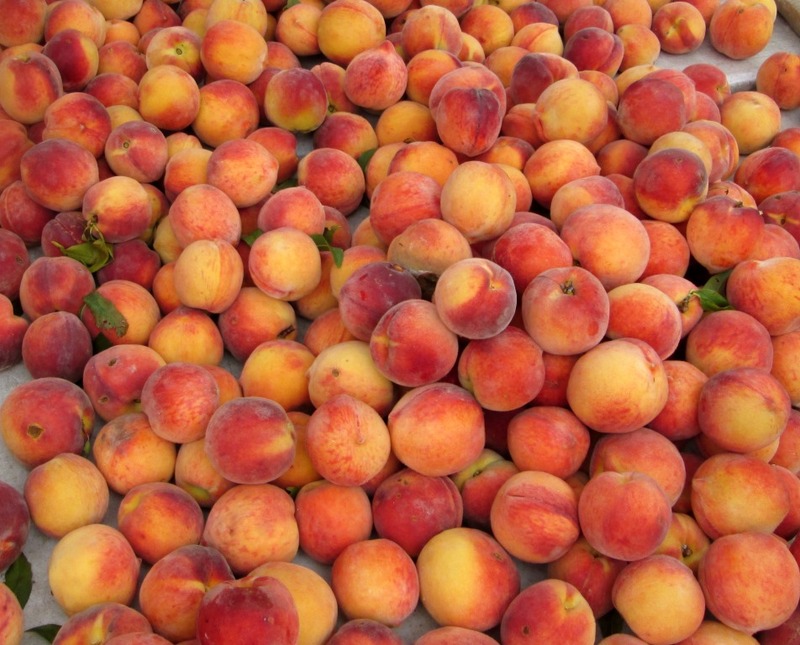 Wherever Melon de Bourgogne – the Melon of Burgundy! what an undignified name for a wine grape! – originally came from, it eventually wound up at the mouth of the Loire, and upstream as far as around the city of Nantes. 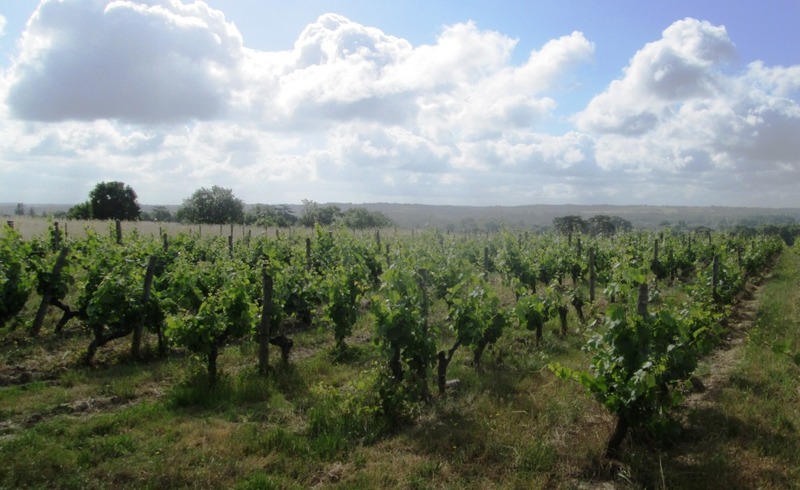 From that stretch of hills all the best Muscadet now originates. There, with a climate somewhat moderated by the Atlantic Ocean and the English Channel, the peripatetic Melon settled in on lean, stony soils to make wines that drank beautifully with the bountiful seafood so close by. Like people, grapes have to find their right place, and the hills near Nantes and the sea let Melon de Bourgogne find its vocation. These days, more and more growers are working hard to let the grape express its best nature, carefully choosing the sites on which to grow it, fermenting and aging it sur lie – on the yeast lees – to give it greater roundness, controlling yields very tightly to get more concentration. Their labor has paid off: Muscadet now is, at its least, a very pleasant wine to drink young and fresh, and at its best a distinctive, mineral-inflected wine with a moderate complexity and a moderate capacity to age. Bear in mind too that with Muscadet, “mineral” covers a multitude of flavors. Exact science types point out – rightly – that we can’t taste “mineral,” but I know that I taste in various Muscadets elements that to my palate say slate, or chalk, or limestone, even oyster shell. Muscadets vary too in the foregrounding or backgrounding of their fruit (usually lemon or lime, occasionally white fruits). 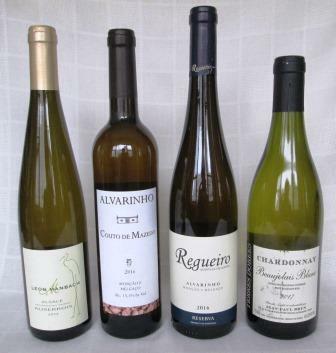 What this means for the consumer is that there are many styles of Muscadet to choose from – and since Muscadet is inexpensive – sometimes as little as $10, very rarely up to $30 – you can afford to try several bottles to find a style you like. Old vines and lean soil yield a classic round, full (for a Muscadet) food wine, surprisingly fresh and vigorous for its age. This one very pleasantly surprised me. It would be worth cellaring some of these for a decade, just to see how they develop. 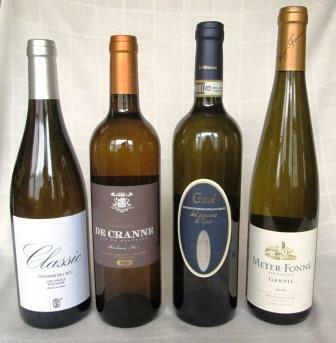 Grower Guy Bossard names some of his wines for the kinds of soil they grow in. 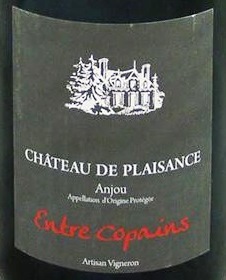 The Classique is a blend of several vineyards, meant for drinking young. The other two are from the named soils and are a bit more austere – mineral-structured rather than fruit-driven – and can take a little bottle age. Very different from each other, and all very good drinking. Totally dry, lean and fruity – slightly citrusy – with the mineral notes well in the background. Excellent aperitif wine and good accompaniment to light hors d’oeuvres and appetizers. This is what I think of as classic Muscadet, dry and mineral-driven, with white fruit notes throughout. 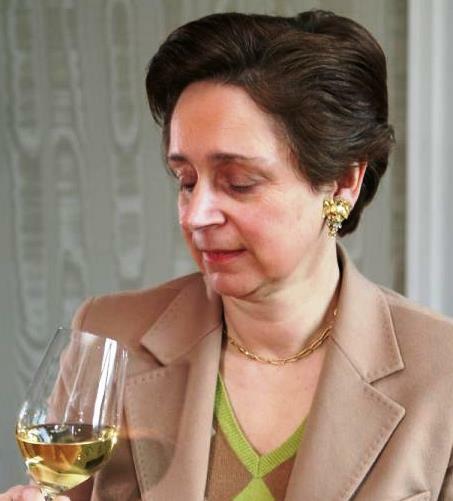 This is also Pepière’s basic Muscadet: the estate makes several others (for example, “3” and Chateau Thebaud Clos Morines), of increasing degrees of complexity and/or intensity. I haven’t yet had one I didn’t like. 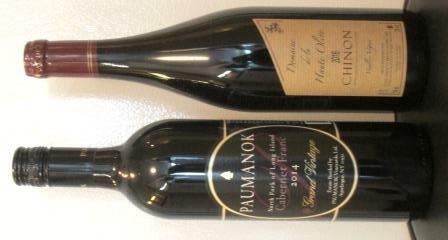 Both wines are from old vines and show intense minerality and a slight lemony character. 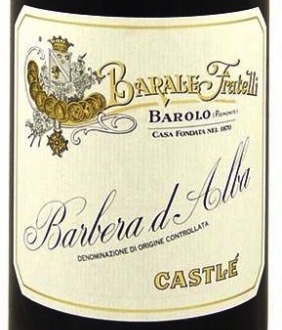 Pleasant drinking now and structured to take some age. 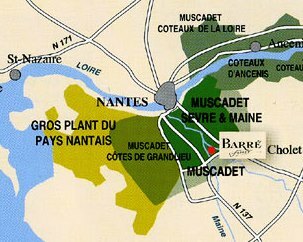 As I said at the beginning of this post, Muscadet has had a checkered history in this country. 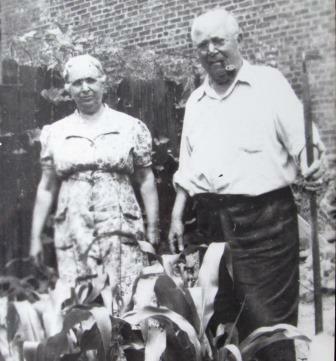 From the ‘50s to the ‘70s, when most wine in America spoke French, Muscadet was everywhere. It was simple, it was inexpensive, and it was almost obligatory with oysters or clams on the half shell. 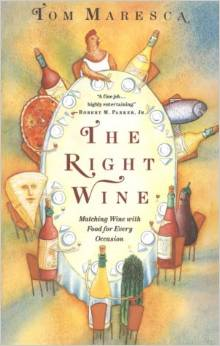 Then, as with so many simple, enjoyable white wines, its popularity undid it. 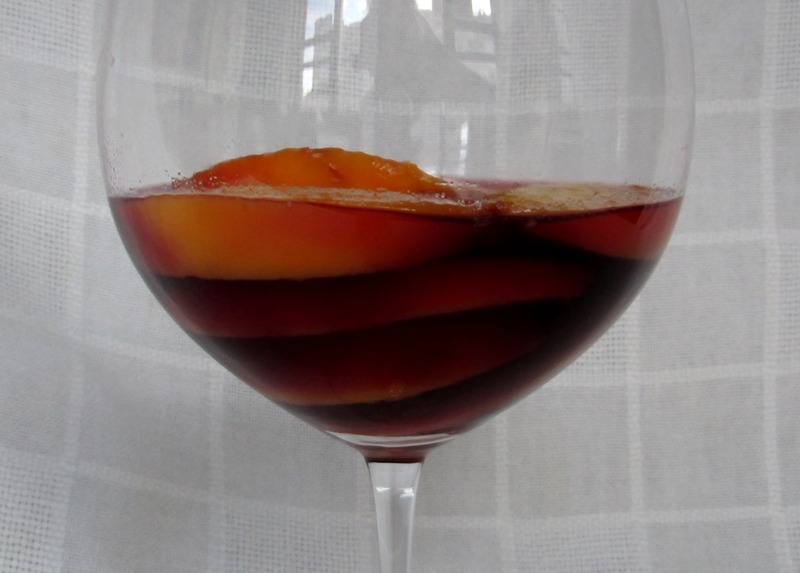 Production rose to meet demand, and that meant overcropping and cultivating unsuitable sites in order to pour more and more wine into circulation. Inevitably, as quality fell, Muscadet’s market died, and for a decade or two the wine virtually disappeared from retail shops and restaurant lists. 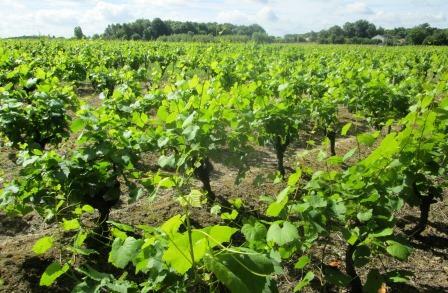 Since the turn of the millennium, Muscadet has been making a comeback, both in its production and on the market. Intermittently, attention has started being paid. A few years back, for instance, Eric Asimov wrote a nice article for the New York Times about the pleasures of Muscadet that caused a momentary flurry of interest, but few other journalists followed through, and enthusiasm for Muscadet has really stayed at a low-ish, just-above-cult level for a while now. I don’t expect my purple prose will change that, but at least I’d like to cast my vote for it. Muscadet is an amiable wine if there ever was one.